In the wrong hands, Blindspot could be a dangerous tool. Hip-hop artists Nicki Minaj and Will.i.am are under fire for investing in an app, called Blindspot, that's said to encourage bullying. Launched last month for Android and iOS, the application lets users send anonymous messages to anyone from their contacts list. 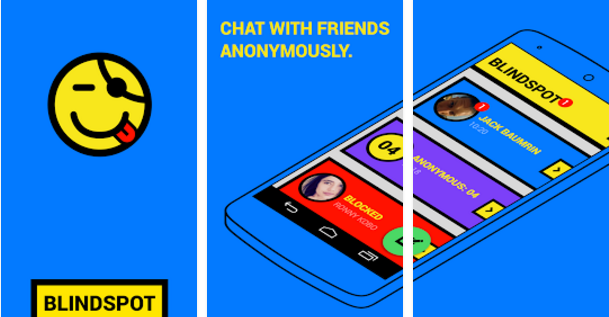 While it's being compared to the now-defunct Secret social network, Blindspot only focuses on private chats between two people -- similar to services such as WhatsApp and Viber. Here, however, the receiver never knows who a message is from, and that could easily become the perfect tool for bullies, trolls and other people with hateful intentions. Adam Shafir, a tech reporter in Israel, said bullying cases through the app have already been reported since it was released, according to Daily Mail. There are also many reviews on Google Play and the App Store pointing to how someone could use Blindspot for the wrong reasons. "A possible platform for hate, meanness and bullying," notes a one-star comment on the Android version of the app. "It's true that all these are induced by people and not by a software but why give bullies an extra tool to use?" And Blindspot wants to thrive on its incognito aspects: "What would you say to people you know if you were anonymous?" reads the description on both Google Play and the App Store. What we also found interesting is that an existing user can send a message to whoever they want, even if the recipient hasn't joined the service. For example, a colleague sent me a note anonymously, but since I hadn't tried the app, I received a text prompting me to download Blindspot in order to view it. In its defense, Shellanoo, the company behind the app, says Blindspot is a safe platform approved by Apple and Google, adding that it has 700,000 users to date. "Perhaps anonymous messaging is something certain people or parents are concerned about, however it is an evolution of messaging technology," a spokesperson for the company told Engadget. It's worth noting Nicki Minaj and Will.i.am aren't the only personalitites invested in Blindspot either: The owners of Shellanoo are Russian billionaire Roman Abramovich (Chelsea Football Club) and Gee Roberson, who manages Drake, Kanye West as well as Nicki Minaj. "Blindspot is a platform, people can use it for love, comedy, romance or horror," the spokesperson said, before drastically comparing the app to a famous furniture store. "People can buy a knife from IKEA to make [a] salad or stab someone, IKEA would not be to blame," he says, "any rational person would not blame the platform, or in this case Blindspot."